This tip is brought to you by my advanced refrigeration instructor. He repeated weekly, "the difference between a good technician and a bad one is five minutes." How is that possible? The intended message was to differentiate between the tech that spends an extra five minutes at the end of a job ensuring everything is sound and the tech that claims, "it was working when I left," we have all met that tech and we all know how frustrating they can be. Here is an example pulled from my own, on site experience. Just several days ago I was changing some ignition boards and pilot assemblies on some unit heaters. The pilot assemblies came with new pilot tubing and fittings, cool beans! I replaced all parts and was ready to test, but taking my instructor's advice to heart, I went through a mental checklist. The last check on the list was to pull the attached pilot tube away from the gas valve to ensure it was fastened properly. 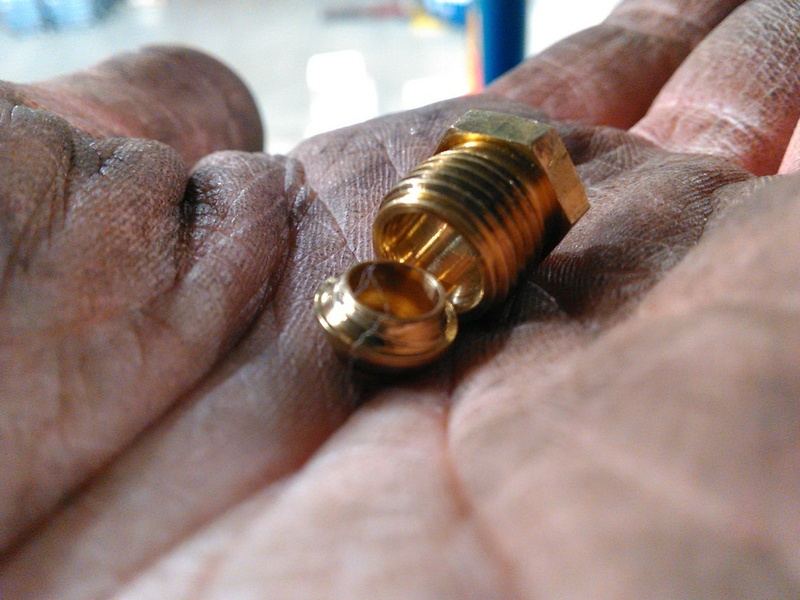 With little force, it slide through the brass compression fitting and was no longer attached to the valve. I removed the fitting and found that the break away ferrule had indeed broken away, but obviously not in the correct spot. This could have caused a gas leak, it would have only been a matter of time and would have created an emergency service call, not good! Fortunately it was avoided by a five minute run down of checks. A co-worker of mine has told me that he uses this method and has caught several issues before walking away. Avoiding call backs is key to building success, five minutes is all it takes.